Q-tips Cotton Swabs 625 Ct Just $2.51 Shipped FREE! You are here: Home / Great Deals / Amazon Deals / Q-tips Cotton Swabs 625 Ct Just $2.51 Each Shipped FREE! 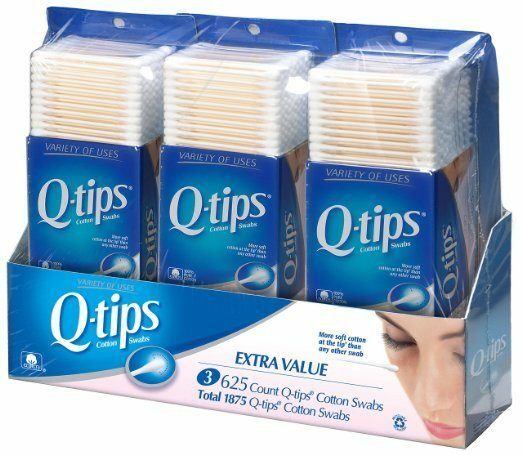 Q-tips Cotton Swabs 625 Ct Just $2.51 Each Shipped FREE! Are you running low on cotton swabs? Get the Q-tips Cotton Swabs, Club Pack 625 ct, Pack of 3 for just $7.52 when you clip the 20% off coupon and select Subscribe & Save. That’s $2.51 per pack of 625 shipped to your house! Currently at Target these are on sale for $3.50! The price will drop to $6.78 or $2.26 per pack when you subscribe to 5 or more items in one month!